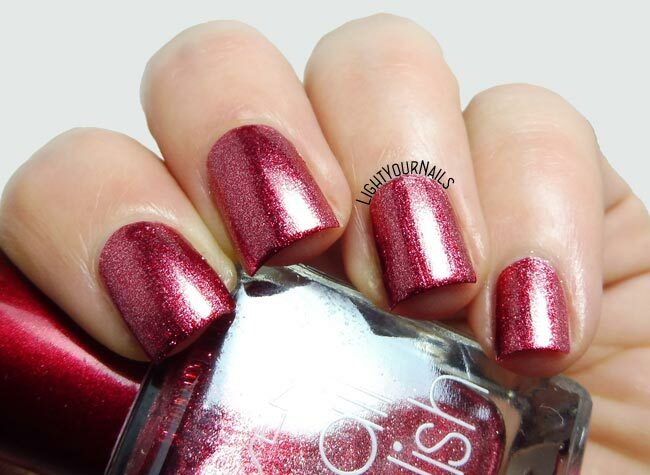 Yesensy 1526-253 red foil | Light Your Nails! I prepared a lovely nail art mani to show you today but the photos turned out awful unfortunately. I will show you what I had used for a base instead, which is a nail polish I often use for stamping. The brand is called Yesensy and I think it’s a Chinese one. Over here in Italy it’s sold in Chinese stores or dollar (euro) stores. This nail polish has no name but I could find a number which I hope is the right reference: 1526-253. 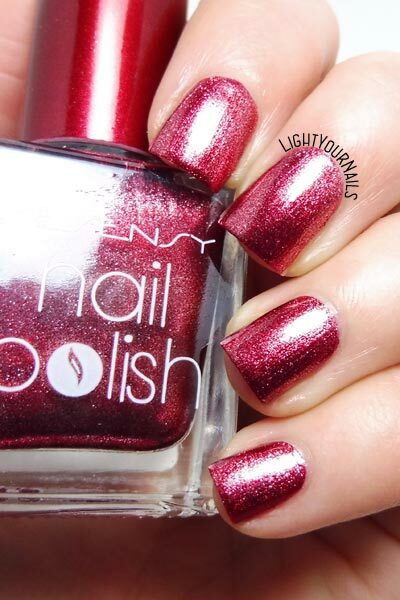 This is a foil red, which means it has a metallic base with very fine visible glitters. It’s a very bright finish that usually looks amazing in any lighting or weather condition. The formula is very thick but easy to work with. It’s a one-coater, that also explains why it’s so good for stamping, too. Drying time is very quick despite its thickness. I was so happy with my 1€ purchase that I went back to the shop and got the green and teal blue versions, too! Christmassy enough, don’t you agree? It's so darn pretty that I am already curious about the green and teal version too! Thank you Andrea! The teal one is my favourite to wear on its own! Haha, that's a good idea Gosia! Oh that's really very pretty shade. Bellissimo tono di rosso, magari lo trovassi dai cinesi dove vado io solitamente! !